Whenever I think of those wonderful sixties summers, this is the one that comes to mind first. The month of June saw the release of The Beatles' "A Hard Day's Night" album, and each song on that album was on everybody's lips and buzzing in everybody's heads. Naturally The Beatles were a constant source of fascination and they dominated the radio waves. February of 1964 was their U.S. debut on television, and after all the uproar, whispers, and rumors, America had finally been introduced to the British phenomenon. Naturally, once summer hit, their music was only more popular when it could be heard from open windows and car radios. The Beatles helped make the summer of '64 fun! I think the summers of 1964 and 1965 were my favorites. So much was happening, and the memories are incredible - particularly, the summer of '64 - as that was the year the Powell-Park Go Kart & Golf Range was built and open for operation. I was wild about the Famous Monsters of Filmland magazines. One of my favorite issues was the one that featured "The Hunchback of Notre Dame" which came out later in 1965. I picked it up on one of my daily sojourns to the local Food Fair store. 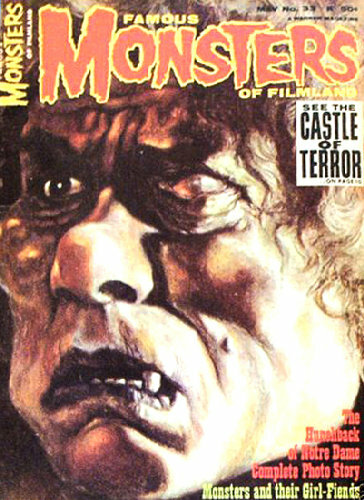 Famous Monsters of Filmland soon became one of my favorite publications. During this time it was only published bi-monthly, so it seemed like forever until the next issue came out. I used to read them over and over, from cover to cover, dreaming of all the great movies I was missing, wishing they'd come to our local TV channels. Aurora monster models were a never-ending source of fascination to me as were the plastic monster figures I was collecting. I was into everything "monster" that I could get my hands on, so the Famous Monsters of Filmland magazines were as good as my monster world was ever going to get. The summer of 1964 wouldn't mean anything without Dusty Springfield's hit song Wishin' & Hopin'. Dairy Queen was new to the neighborhood that year, and to this day, whenever I hear "Wishin' & Hopin'" I think of Dairy Queen sundaes and Cherry Dilly Bars. We lived in a house directly behind Samuel K. Barlow Elementary School. Our house had three different fruit trees, apple, pear and plum, and was slightly girdled by a cyclone fence. I remember walking down to our local Food Fair store and buying a really cool set of plastic circus toys. They really had me spellbound, and I can still see myself sitting out there on the giant playfield behind Barlow school, playing with them. During the springtime I could walk to the fenceline of the school property looking North, and watch the construction of Powell Park. I realize I've told my stories about the go kart track and golf balls on different pages-full story here-but I must revisit that excitement. Once the Powell Park construction was complete, and there was a new golf range, go kart track and Dairy Queen, the whole neighborhood seemed to be poppin'. Among the other cool spots were the McDonald's just off S.E. 92nd and Powell, and a bit farther over on 82nd and Holgate, Dickie's Drive-In. Dickey's was where summer nights were alive and well. I recall one evening when they had a big promotion with a Paul Revere & The Raiders imitator band playing on the roof!. You could get a hamburger, fries, and drink for only 19¢. All the muscle cars and vintage 50's rods were jammed into the parking lot, and the whole event was like a massive celebration. Guys were out, girls were out, and for us kids, we watched them, envying how cool they were, and the fact that they had their own cars to cruise in. Dickie's Drive-In remained my favorite hamburger place for years. As far as food went, I preferred Artic Circle to anybody else, but Dickie's had pure atmosphere and the memories were great even up until the 70's. The hamburger joints were fun and popular places to hang out at, but Dickie's was the most fun. Dairy Queen became another summertime hot spot since they served soft ice cream. They served food too, but they were well known for their ice cream. There were almost always crowds at DQ, and it wasn't unusual to wait in line. There were many great movies out in the theaters or playing at drive-ins, but in the summer of '64, I barely had the opportunity to go see them. We didn't have a car, and for a time, most of our neighbors didn't go either, so I had to worship these movies from the allure of newspaper ads only. Even if I'd had the opportunity, I was NOT allowed to go and see any James Bond. movies. It was all the Bond girls in lingerie that told my mom that I shouldn't be seeing these movies, therefore, I've never seen a Bond movie in a theater. I always felt that it was unfair, and I really wanted to see James Bond on the big screen. I just knew that there was so much secret agent action happening that I knew nothing about. Even the theme songs that played on the radio were enticing and only made me want to see Bond movies all the more. "Thunderball" sung by Tom Jones turned out to be one of my favorite songs. 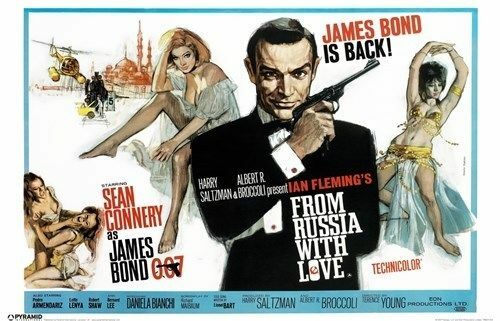 So, thanks to James Bond's advertising, his films were no dice for me. Playing army was still the best! Most of the guys in the surrounding blocks would get together for some of the greatest games we ever played. The Powellhurst-Gilbert neighborhood was laid out in more of a square grid, so the walking to visit neighboring blocks didn't seem as far as the other southeast neighborhoods I'd lived in. The sounds of the plastic, the hard snaps of plastic cartridge belts and the sloshing of a full canteen were all a part of the play army experience.Half the fun of army accessories were their uses; cartridge belts were empty, but meant to have something put inside of them. licorice and Tootsie rolls worked well. The canteen needed to have liquid-even if only water-and even though it sloshed and made noise. My Dad always said "every tool has a purpose." I found this to be true with all of my army accessories. Even if any compartments, flaps, or storage areas on my army toys were empty, they still had a purpose, and that was to look cool. The plastic army knife I had had a sheath with with openings that my belt could slide through. If we weren't playing army with our toy rifles and canteens and helmets, we were playing with army men. Army men were still a fascination for me as well as my friends and other neighbor kids. Some of us would get together for epic setups with them, combining each others' collections until we had a literal army of army men. The real fun was in the setup; the hours spent devising great battle scenes, plans, and just having fun with our sets was what it was really all about. You can read more about that here. I had a friend named Jerry, who at the time, was my best friend. I met him earlier in the year at school. He was the only kid in the third grade who wore a leather motorcycle jacket complete with zippered pockets. He got me interested in comic books. The Flash, Green Lantern, & Batman were among my favorites. We'd often sit under his chestnut tree and read them in the summer heat. When we finished, we'd trade those that we could bear to part with. I loved Jerry's company, but he was hard to have as a friend because of his dad who was very strict and very difficult to understand. I quickly suspected, even at a very young age, that his dad may have been a sufferer of an affliction known back then as "Shell shock". In the movies and on TV, "shell shock" was commonly mentioned, so it was a condition that was easy to suspect in anyone that had been a veteran of war. At my urging, I finally got his dad to describe the effects of a grenade exploding and he said that it was "like a thousand nails coming down all over you." I never quite understood that, but I accepted it and moved on. Shortly after that, Jerry and I, even though he lived on the corner of the block, sort of lost contact with each other. I've spent years trying to find him again, but with no luck. It's amazing to me how some memories are so strong, and stay with me forever. 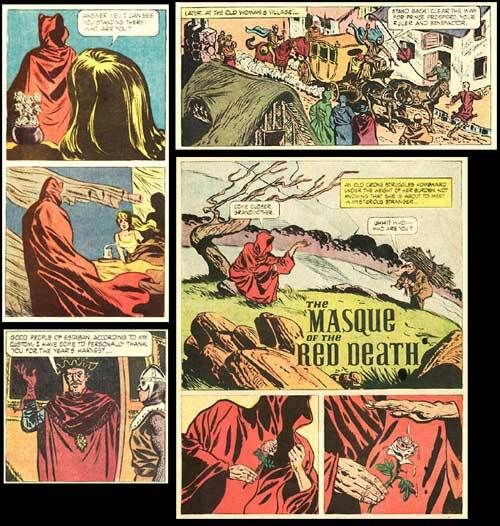 Such is the case as the day I bought this comic book The Masque of the Red Death in August of 1964. Though I tell this story here, the memory of it is still strong, and for some reason, sticks with me like glue. It was a warm, but gray day, very overcast, and the neighborhood was quiet. My mom decided to visit her best friend Merle, and her house was quite a walk for us, so we geared up for a trek. We were going to stay overnight there, so I took my new comic to read once we got there. The imagery was amazing, and the story was wonderful. The mysteriously hooded figures etched themselves into my psyche, and since I loved ghosts and ghost stories so much, this comic was epic to me. Looking back I realize now that there was nothing like the old comic books, and this one was one of my favorites. A few years ago I purchased it again on Ebay. One of my favorite memories of that summer of '64 was a time we'd spent the evening outside on a blanket. This was one of the greatest things ever to do. Conversations seemed so elevated and far more stimulating in a relaxed setting. We weren't the only ones to do this. People were out when it was hot; our yards were social hubs. Bouncing back and forth from yard to yard was something that everybody looked forward to. This was a time when it was actually fun to spend time with your neighbors. Somebody always had something a lot more interesting to say than what could be heard on television. In 1964 Dairy Queen came to our neighborhood. None of us had even heard of a Dairy Queen before, so it was quite the novelty. The idea of being able to buy a soft ice cream cone from a place so close was too good to be true. Dairy Queen had everything; soft chocolate and vanilla, ice cream cones with hard chocolate, cherry, and butterscotch toppings, banana splits, and a wild innovation they called "Dilly Bars." My favorite flavor was cherry and it's still my favorite today! That particular evening, our neighbors and ourselves had a front yard picnic settled down on our quilts and blankets. My brother Mike and his friend Tommy made a trip down the gravel road to Dairy Queen. So many of us were out and playing, and once they returned, we all had a banana split. As the sun began to dip, we'd play hide-and-seek until the very stroke of ten when most neighbor kids were called back in. Night games were completely dependent on how long our parents wanted to stay out. Tommy Roe was my brother Mike's faithful, artistic friend. He made me a really cool Rat Fink sweatshirt that he drew with a felt pen, then cut the sleeves off at the shoulders for me. It was great to have Mike's friend Tommy around. He was an absolute Beatle fanatic, and often spoke in a British accent mimicking them. He was the only kid in our area who had an actual Beatle haircut. He sang and played guitar also, and could play quite a few Beatle tunes easily. After a brief association with my brother Mike, he had made elaborate plans to run away to England to meet the Fab Four. He even told Mike when he was planning to leave. On that day, he just disappeared. We never saw Tommy again after that, but in later years, many of us wondered if he was the same Tommy Roe who had the big hits "Dizzy" and "Sweet Pea". Around 2005, I decided to use the internet to find out all I could about the pop star Tommy Roe. As it turned out, they were not the same person, but it was a very puzzling suspicion among many of us that he could have been that singer. I think he really did run away to England, and I still wonder to this day if he ever got to meet The Beatles. I'd like to think he did. After a long and delightful evening on blankets, and after we'd exhausted our best conversations, looking up at the stars was always the thing to do. Lying there feeling the evening warming down to just the perfect temperature, and smelling the scent of fresh grass, I can remember thinking that this was the way life should always be. What I wouldn't give now to be there on that summer blanket, eating banana splits, discussing life, and living the bliss of that summer of 1964.